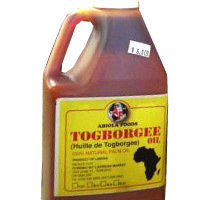 Oil is a key ingredent in African foods as well as Caribbean food and Latino food. Oil is a key ingredient for cooking soups beloved by many members of our the stated communities. 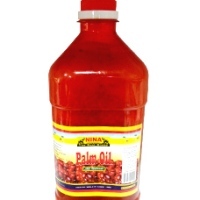 We therefore have a formidable line up of both palm oil/red oil and groundnut oil as well as other specialized African oil here at the oil section of Deeskus, your online grocery delivery service for African foods, Latino foods and Caribbean foods online. 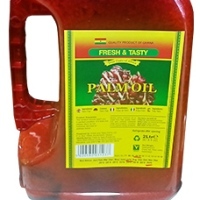 So delay no further, buy African oil for African food today. 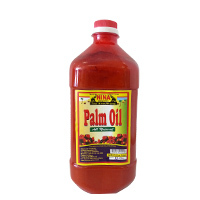 Oil products available at this section of Deeskus include CDC palm oil cameroun, mazorla corn oil, perm kernel by Nina food, Fresh and Tasty palm oil, red palm oil by Nina foods, super zomi oil by Choice food, togbogy oil by choice foods, vigo oil, somi spiced palm oil by nina foods, zomi fresh and tasty etc. 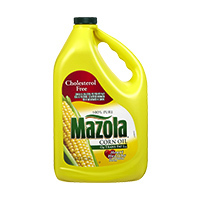 Mazola Corn Oil 64 oz. 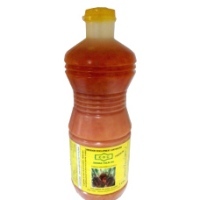 Buy this African food item online now for prompt delivery. 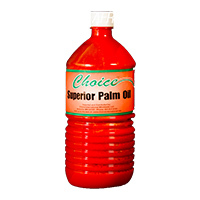 ..
Superior zomi Oil Choice 16 oz is a 100% unrefined Red Palm Oil with no additives or preservatives. 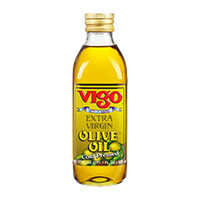 ..
Cold-pressed Vigo Olive Oil 1 gallon reflects the union of the earths finest elements: fertile soil,..
Cold-pressed Vigo Olive Oil 68fl reflects the union of the earths finest elements: fertile soil, gen..